A picture is worth a thousand words, and these photos are just "wow" a thousand times. They were snapped at just the perfect moment, when everything conspired to make a small piece of art that's almost too good to be true. Check out these pics. Your eyes aren't fooling you, this lawn is not floating above ground. Look closer and you'll see a tree fell and ripped it up! This looks like something out of the movie Inception. Or a surrealist painting. Or maybe like a portal opening to Middle Earth. But it's real. What's the fix here? 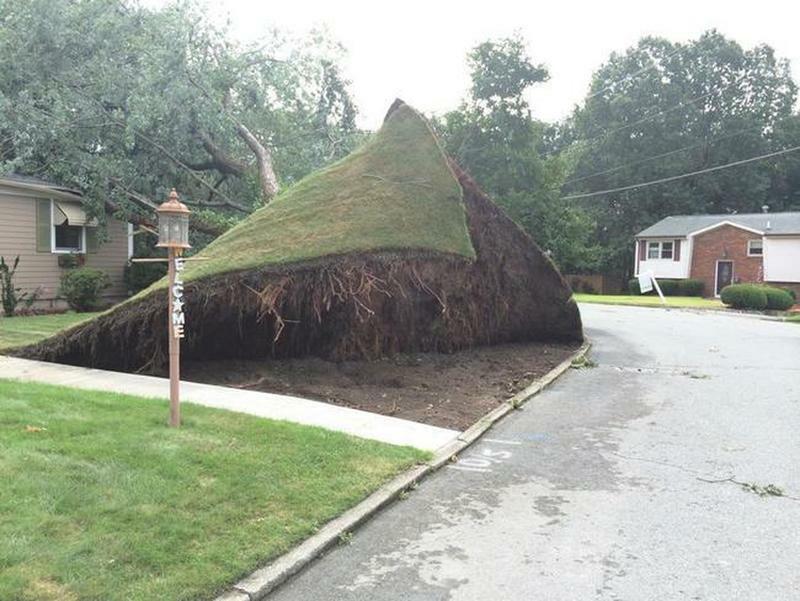 Maybe just yanking down on the sod until it's back in place? And putting some paperweights on the edges?